Don’t Preach a Watered-Down Gospel! The only way to give an authentic witness of Christ’s death and resurrection is by sharing the Gospel with humility, Pope Francis said. Christians who preach must resist the temptation of power, pride and worldliness, which can lead to “preaching a watered-down Gospel without strength, a Gospel without Christ crucified and risen,” the pope said during morning Mass in the chapel of Domus Sanctae Marthae. True preachers of the Gospel, the pope said, are always out “on the road” and going out of their way to proclaim Jesus Christ despite the risks and suffering they may endure. 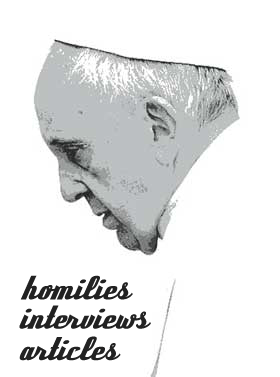 Next story What is Humility Really All About?